After almost two decades the US-led NATO intervention in Afghanistan aimed at eradicating the Taliban has no end in sight. US President Donald Trump and the American people, if not the US military, decided that an honourable exit was necessary to end the longest war in US history. Despite the fact that one of Trump’s election promises was to exit Afghanistan (as well as Iraq and Syria) he had approved the military surge advised by the Pentagon but unfortunately this could not reverse the situation. The Taliban are controlling more territory today than they did at any time after the collapse of their government in 2001. Pursuing his ‘America first’ agenda and tacitly recognising the existing military situation, a frustrated Trump authorised negotiations with the Taliban. In protest US Defence Secretary Gen James Mattis resigned. Choosing Afghan-origin Zalmay Khalilzad to lead the US side was a brilliant choice, which is already paying dividends. On New Year’s Day 2018, Trump had in an early morning tweet accused Pakistan of perfidy, of doing nothing to help the Americans win the war in Afghanistan despite receiving billions of dollars in aid. Reversing his stance barely a year later, Trump reached out to Pakistani Prime Minister (PM) Imran Khan, seeking cooperation in bringing the Taliban to the negotiating table. He now acknowledges that Pakistan is an irreplaceable partner in the Afghan peace process. This underscored the painful truth to many observers led astray by constant Indian anti-Pakistan propaganda, that Pakistan is not part of the problem but central to any solution in Afghanistan. Determined to withdraw US forces, the US is now ready to a compromise with the Taliban. 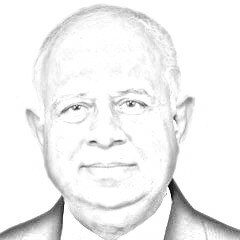 Taking cognisance of the dramatic change taking place in international relations in the region Pakistan’s new government fully supports the need for peace in Afghanistan no prosperity in Pakistan is possible without that. The credibility of the US as a strategic partner having suffered, Pakistan can never be sure of its position with the US. However other friendly countries closer to home also have a credible interest in a peaceful Afghanistan. Joining the Afghan peace efforts and recognising the political role of the Taliban in a post-war Afghanistan are China, Russia and Iran, and even Saudi Arabia and the Arab Emirates. Last year’s conference initiated by Moscow and participated in by the regional promoters of peace was a successful first meeting between regional promoters of peace and intra-Afghan political forces including the Taliban. Significantly, after many decades personal acquaintances were made and initial positions were exchanged. The only country in the region not interested in peace in Afghanistan is India. Keeping strife going in the unfortunate country is a tailor-made formula whereby India keeps Pakistan in turmoil. Moreover this proxy war costs India nothing in either money, manpower or material. The US is mostly footing the bill while the Afghans not only take most of the casualties but sustain continuing material damage to infrastructure and urban areas. Virtually taking our Afghan intelligence agency KHAD Indian’s RAW attacks the ideology and territory of Pakistan by clandestinely supporting the Tehrik-e-Taliban Pakistan (TTP) alongwith many other Jihadi factions. In the process the Kashmir freedom movement was successfully clubbed with the Afghan Taliban and labelled as “terrorist” by India for the world. More damaging for Pakistan is being portrayed as supporting and fomenting terrorism. All this time the US poured in money for the Afghan military, the govt and the economy while sustaining casualties billions of US dollars themselves. In effect the US was fighting India’s proxy war against Pakistan while India in a strategically brilliant ploy has stood by and enjoyed the residual benefits while Afghans, Americans and Pakistanis died. Paraphrasing Patton’s “no man ever won a war by dying for his country, he won a war by making the other (person) die for his country,” India’s second line reads, “we can win the war against Pakistan by letting the US and Afghans die for their country”. For the last 10 years I have faced US intelligentsia at Think Tanks frustrated by “Pakistan Fatigue,” this exponentially increased as the US got more deeply embroiled without hope of success in the Afghan War. I was derided and attacked even by my close friends in Wash DC and New York for Pakistan’s “falsehood”. Unluckily for us Asif Zardari’s pointman Hussain Haqqani, appointed as the Pakistan Ambassador in the US, led this anti-Pakistan campaign even while he was Pakistan’s Ambassador in the US. What were the US intelligentsia to believe when the glib-talking Pakistan’s prime official representing Pakistan in Wash DC gave credence to the Indian-manufactured “facts”! Haqqani violated the oath he gave to the Supreme Court (SC) for exiting the country and never coming back. He only came out in the open after he was removed from his post and now regularly sponsors the Indian propaganda verbatim. It is strange that Asif Zardari or the PPP never mentions this, what to talk about condemning his calumny? Once virulently anti-Pakistan Zalmay Khalilzad and became “Born Again” as the reality dawned on him, why is the Indian-supported Ashraf Ghani govt now having a go at Khalilzad? Afghanistan has been a central point of relevance for Indian regional policy. During the last twenty years India had supported the Northern Alliance in its fight against the Taliban only because the Northern Alliance Opposed Pakistan. The only country in the world that wants the Afghan war to go on is India. Many Indians occupied many Consulates in Afghanistan, UN Disarmament, Demilitarization and Reintegration Corps (DDR) and construction efforts. India built a sizable developmental and considerable intelligence footprint in Afghanistan since 2001, spending more than $2 billion in aid and infrastructural development. Building on Indian influence with the UN and the Afghan governments India gained almost a free hand for using the permeable border with Pakistan to encourage militancy and terrorism across the border and then blaming Pakistan for it. India’s development contributions in Afghanistan is the “soft” part of New Delhi’s strategic encirclement policy to make Islamabad vulnerable in any potential conflict. That is the reason why Pakistan made it a condition that India be kept out of the negotiations for bringing the Taliban to the negotiating the relative success so far has caused major frustration in India. U.S. support for successive Afghan governments under Karzai and now Ghani was vital for maintaining security and stability. Without America’s protective umbrella these characters will vanish sooner rather than later. That is why the present Afghan regime is desperate for the talks not to succeed. With a post-war Afghanistan that includes the Taliban as a major political force in the making India’s Afghan policy is facing bankruptcy. During their many years of presence in Afghanistan Indians have never missed an opportunity to damage Pakistani interests there. It is probable that India may remain a peripheral player in post-war Afghanistan but New Delhi will find itself unable to influence the situation the crossway it had did for the last two decades. India’s recent critical stance at the United Nations for the failure to sanction Taliban leaders seems out of sync with emerging ground realities in Afghanistan. India’s entire Afghan policy has been Pakistan-specific. Does it worry them at all if Afghans die by the thousands and the country’s infrastructure is laid to waste? Bad relations between Afghanistan and Pakistan over the Durand Line have been used by India to keep a viable threat of a possible second front against Pakistan as a counter to the indigenous uprising in Kashmir. Thus the Indo-Pak relationship and the Kashmir conflict is casting their shadows on the Afghan question as well. Real peace will be only possible when these outstanding conflicts are finally resolved (the writer is a defence and security analyst). Published in Daily Times, March 23rd 2019.